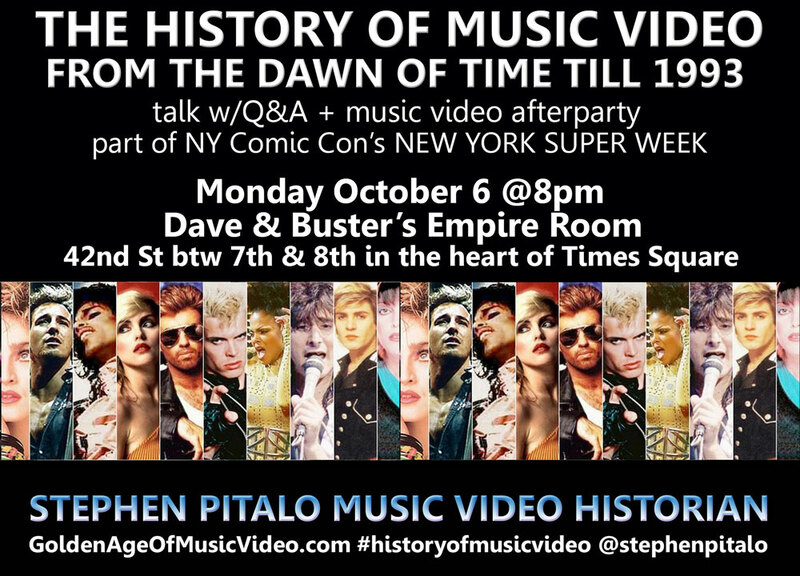 THE HISTORY OF MUSIC VIDEO event in Times Square Oct. 6 – tickets are now only $10! Pitalo will host his talk w/Q&A and a music video party at Videology, 308 Bedford Avenue, Brooklyn NY at 9pm. Marc Tyler Nobleman, noted author and pop culture writer decided to track down all the female leads in iconic music videos. Join us for classic music videos from the 80s and more! FRIDAY NIGHT VIDEOS @Last Exit, Brooklyn! Friday March 7th: Anything Goes! On Friday, March 7, THE GOLDEN AGE OF MUSIC VIDEO and LAST EXIT BAR are back again with FRIDAY NIGHT VIDEOS, our 70s-80s-90s music video party chock full of big hits, fan favorites & forgotten gems, up on the big screen 10pm to 2am. EVENT: The next FRIDAY NIGHT VIDEOS is November 1st @Last Exit Bar, Brooklyn – Featuring Movie Soundtrack Hits! Eddie Murphy returns to music with Snoop Lion for “Red Light”, but he never really left. To celebrate our anti-MTV party with Brokelyn, here’s ten classic music videos that were produced for very little money.